Smokey: Say good night... Tinkerbell. Stuart Little: Hey, Smokey! His name is Snowbell! Upon arriving at the Little house, Stuart begins his tour in the kitchen and dining room, where the Littles prepare and eat "western omelettes, mashed potatoes, and all varieties of meatloaf." Included as a deleted scene on the DVD. Stuart crawls inside the piano to fix a stuck key. Mr. & Mrs. Little begin to sing "Heart And Soul," while Stuart performs a piano duet by striking the hammers from the inside. This scene is not included on the DVD, but was restored for the ABC-TV broadcast. Later, Mr. Little decides to remove "Three Blind Mice" from the piano songbook. Mrs. Little gets the idea to invite the family for a party and to buy Stuart some new clothes. Restored for the ABC-TV broadcast. Following the party, the Littles begin to question their fitness as adoptive parents. Included on the DVD and restored for the ABC-TV broadcast. 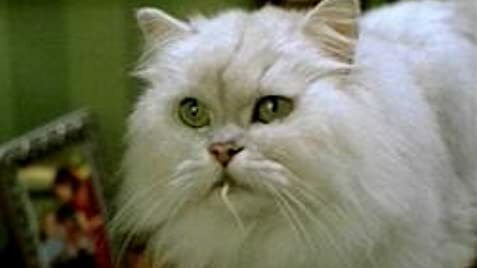 In Stuart's bedroom, Snowbell spends a few quick moments antagonizing Stuart over George's outburst at the party. Restored for the ABC-TV broadcast. George wakes up remembering that Stuart has left to live with the Stouts, but thinks at first that it was only a dream. Included on the DVD and restored for the ABC-TV broadcast. At the Stout home, Stuart proposes that they go on a family outing. Included as a deleted scene on the DVD, though some of the CG work is unfinished. After arriving at the Little home, the detectives begin to question the Littles for the missing persons report. 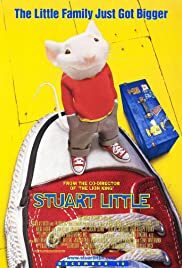 They get as far as asking Stuart's height and weight before realizing that he's a mouse. Included on the DVD and restored for the ABC-TV broadcast. While at the police station, the Littles are shown some mouse lineups in hopes of identifying the Stouts. Included on the DVD and restored for the ABC-TV broadcast. a nice movie for entire family. a not ordinary hero and his adventures.nothing special but useful for Sunday afternoon. it seems be enough. but not at all. because something missing. a more convincing script, a better acting. but it is a good result and among the films for children, Stuart Little represents a decent work about fundamental values of society. it is not easy to ignore the bad parts but it is only a problem of inspiration and only sin who could be significant is the detail than the film is not very different by a lot of adaptations who are only expressions of originality. a nice film with a nice character. that is all. and, in essence, enough.